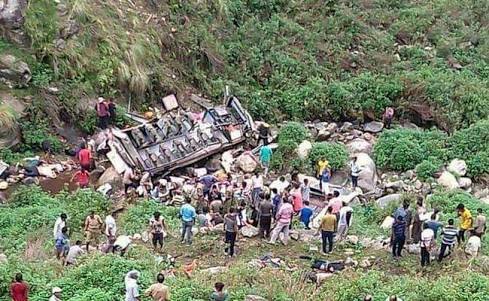 It was a big accident this morning in Uttarakhand. A bus fell into a ditch on the Pipali-Bhoan motorway in NainiDanda block. Many passengers have died in this accident. According to the report, it was just going to Ramnagar from Bhoan. Just near the Gwyn Bridge, the bus fell unconscious and fell into the trench. This is about 15 kilometers ahead of the accident. According to a report received from the Disaster Control Room, 45 people dead in which 44 people died at Spot. One died at Dhakkot Hospital. The bus, which has fallen into a ditch, is being reported with number U.K. 12C/0159. It is being told that it was just 28 seater and due to being overloaded, it fell down in Sanguri Gardere “rainy Drain area” about 60 meters below the road. The injured have been admitted to Dhumkot Hospital for treatment. As soon as the information is received, the police and administration team has left the scene. The team of SDRF has been sent to the spot with 3 helicopters. Helicopter rescue work will be done. PM Narendra Modi showed deep condolences over the bus accident. 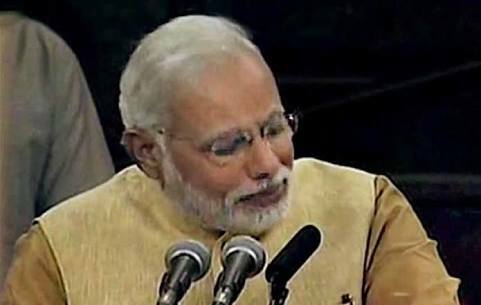 Modiji tweeted that I am quite hurt due to the accident. Expressing deep sorrow, Modiji expressed deep condolences to the families of the dead. He told that local administration, police, and SDRF have gathered in rescue work. Trivandrum Singh Rawat also tweeted a deep sorrow over the incident. He has instructed the district administration to provide immediate relief. He announced compensation of Rs 2 lakhs to the relatives of the deceased and that of the injured.